Join a park ranger for a bike ride on the North Boundary Greenway to see how the former communities of the area have changed over the past 70 years. Manhattan Project National Historical Park will present a free program on Saturday, June 16, at 10 a.m. (ET). The program will begin at the Turnpike Gatehouse and travel down Quarry Trail. Along the ride, we will explore the former communities that were here before the Manhattan Project. 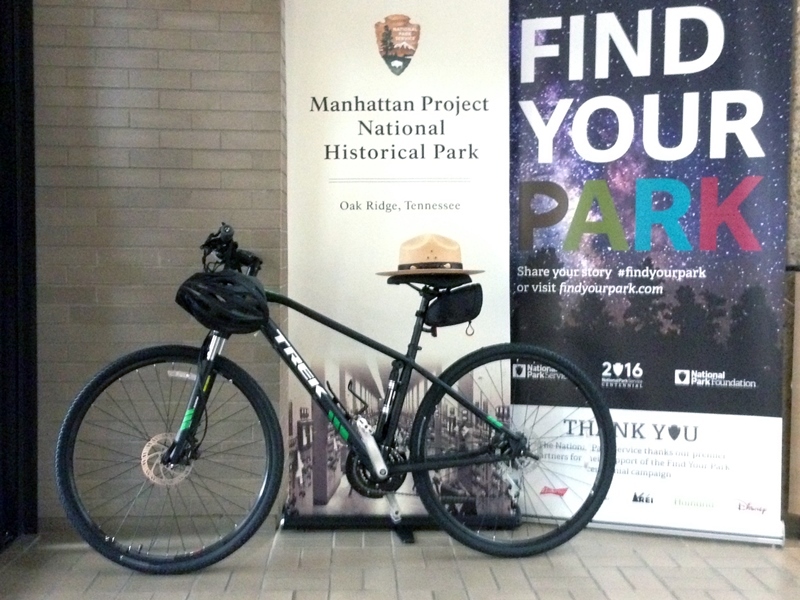 Rangers will stop several times along the bike ride to point out the rich history that is found within the Oak Ridge area.The trailhead to the North Boundary Greenway is located at the intersection of the Oak Ridge Turnpike and Westover Drive on Highway 95 in Oak Ridge. Tennessee state law requires that bicycle operators under 16 years of age must wear a helmet and child passengers under 40 pounds or 40 inches must be seated and secured in a child restraining seat or bicycle trailer. For your safety, visitors are encouraged to bring water, sunscreen, insect repellent, and appropriate footwear. For more information or directions, please contact the Manhattan Project National Historical Park at (865)482-1942. Visitors are encouraged to visit our website for more information on the park at https://www.nps.gov/mapr/oakridge.htm. Follow us on Facebook at www.facebook.com/ManhattanProjectNPS , follow us on the park’s Twitter feed @MnhtnProjectNPS, or follow us on Instagram @manhattanprojectnps.